My Big Brothers journey started 8 years ago. I remember vividly attending a volunteer orientation at my high school, a staff member from Big Brothers of Greater Vancouver presented on a mentorship opportunity – for us to become teen mentors for elementary aged children. I was intrigued by the organization, and I knew right away that I wanted to become a teen mentor. As a teen mentor, I would visit my nearby elementary school once a week, and I would spend two hours with my Little Buddy. Mentoring Coordinators from Big Brothers would match us – and what I gained from the experience was much more than I could ever imagine. At first, I thought it was kind of odd that we were matched – since we were completely different! He was very active and loved to do sporty activities. And I… wasn’t – I was more into creative activities such as arts and crafts. Even with all his energy, he was actually very shy and reserved. I knew he was holding back. For me, I was anxious in the beginning, because I was wondering why he wasn’t warming up to me quickly – was I doing something wrong? Did I say something to upset him? Carrie, as my Mentoring Coordinator, was incredible. She was amazing and kind – and was able to answer any questions I had. She was always there to encourage me and made sure that the match ran smoothly. I was always really happy to see her – because she gave me the confidence that I could do this. As each week progressed, I could finally see the progress, and that David* was really opening up to me – he finally shared what was going on at school, and how he was doing with his family. It was incredible for me to see the changes in him, where I saw him gain more self-confidence and essentially blossom. But what was even more life-changing for me, is the change that I saw in myself during this volunteer experience. Through David, I learned how to be patient and realized I can’t force a change in him, he has to do it himself. Eight months might sound like a long time to see change – but all the sessions that I had with David were completely worth it. I continued to volunteer at various places after my teen mentoring experience. I eventually completed a degree in Communications at SFU this past year and worked at several co-op jobs. It wasn’t until recently that I discovered a job posting at Big Brothers of Greater Vancouver as a Development and Marketing Assistant. I knew right away, that I wanted to apply for the job opportunity, and I thankfully was offered the position. It’s funny how life comes in full circle sometimes, because one of the first faces I saw on my first day at Big Brothers, was Carrie – my Mentoring Coordinator. It was so nice to walk into this new job, seeing the friendly face that guided me when I was a teenager. Although I was a teen mentor at that time, I realize now that I was actually a mentee – and that Carrie was the one that helped guide me on the right path. Her patience with me, is the same patience that I learned through David. 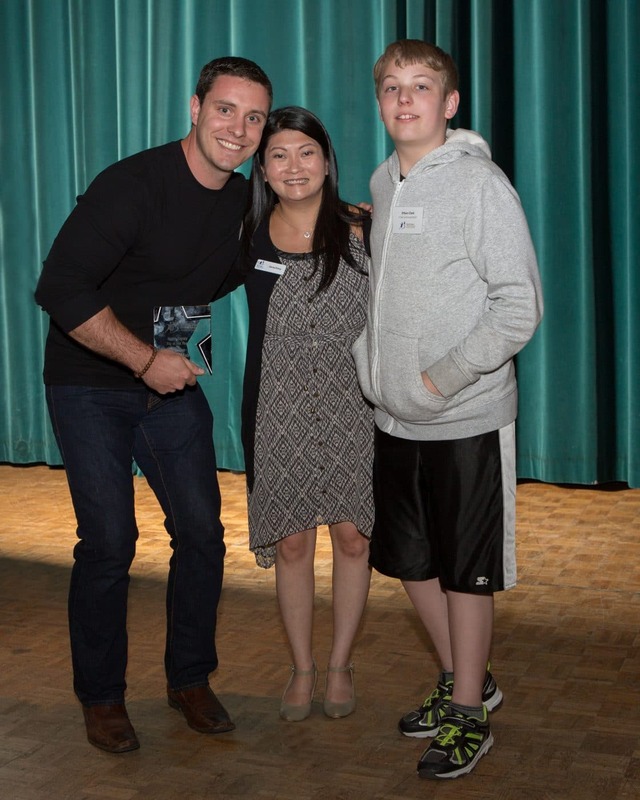 At Big Brothers of Greater Vancouver, our mission is to provide a mentor for every child who wants or needs one. With an additional role model, a child can gain self-confidence and be inspired to reach their full potential. It was through Big Brothers, that I learned I wanted to continue to volunteer and that I loved working with kids. To be able to walk into work every day, to know what I am doing will be making a difference in the lives of children and youth – is incredibly priceless. 8 years ago I was a teen mentor and now, I am a staff member, and in the next year, I will be volunteering as a mentor. So I want to thank Big Brothers of Greater Vancouver, for the opportunities that you have provided me, and Carrie, for your guidance – you have truly made an impact on my life. *Name has been changed to protect the privacy and safety of children whom we serve. 8 years ago I was a teen mentor and now, I am a staff member, and in the next year, I will be volunteering as a mentor.